Hackers are continuing to find novel ways to steal cars, but it may be a comfort to learn that the victim in the latest case is a car rental service, not a heartbroken individual consumer. A CBS reporter in Chicago reports that as many as 100 Mercedes Benz cars or other high-end cars have been reported missing after the rental app Car2Go was hacked. Google’s plans to close down its consumer version of its social network Google+ has been escalated thanks to a bug that impacted approximately 52.5 million users in connection with a Google+ API. In layman’s terms, an API is a set of communication methods used to coordinate development and programming of a computer program. Some Instagram users may have had their password information exposed as a result of a security breach tied to the platform’s “download your data” feature, the Information reported on Friday. After all, Target, Home Depot, Neiman Marcus and Michaels, among others, have seen their systems breached by hackers in the recent past. But do you have the same worries about transactions with your church, or other nonprofits? A cybersecurity firm says you should. Hackers and identity thieves are increasingly focused on mobile computing. With so many smartphones and tablets now in use, mobile is increasingly becoming how consumers use the web. Criminals also like the fact that many mobile devices have little or no security protection – not on the device itself and not on the data that is stored in the cloud. Mobile data can be stored both places and security experts say both need strong protection. Chris Rancourt, an editor at NextAdvisor.com, says consumers who use an online backup service to store and share their data in the cloud need to be especially careful. Cloud storage and backup services have become increasingly popular. They store data off-site, protecting it from a catastrophic computer crash or other physical damage. They also make it accessible from other computers in other locations. Rancourt suggests picking a backup service with very robust encryption. 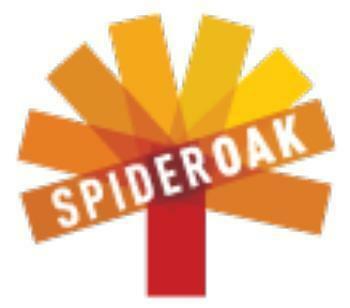 One service that falls into that category, he says, is SpiderOak. There is one security feature, in particular, that he likes. Absent-minded consumers can run the risk of losing everything if they forget or lose their password. Writing it down in several secure places, however, might be all the insurance policy you need. Sugarsync is another secure backup service. 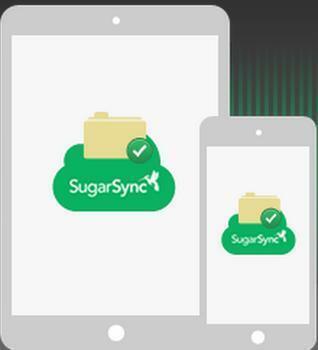 With Sugarsync, you can safely store important files and then sync them across an unlimited number of computers. If the data is updated on one computer, it's also updated on the rest. Mozy is a low-cost cloud storage service. The company's backup plans start with one computer per subscription, but it can sync up with other computers that aren't part of the plan. 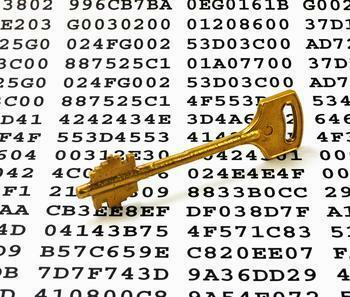 The best feature of these companies' backup services may be the sophisticated encryption. Rancourt says it provides a great first line of defense. But hackers are resourceful individuals. Suppose they get access to your cloud and your encrypted information by stealing or finding your lost device. It might look like gibberish at first, but given a few hours, it's just possible some hackers might be able to crack the encryption. That's why you need a second level of defense – remote wipe. If your device is lost or stolen, remote wipe will still give you access to all your files and documents from another computer but allow you to block access on the missing device. You can even delete files. It should go without saying that you should have robust security features on your hardware as well. Getting a strong mobile security package for your smartphone or tablet will reduce the risks from lost or stolen devices. News that over 1,000 accounts at online ticket-seller StubHub have been hacked should serve to remind you of this important online safety rule: don't use the same password across multiple accounts. The Associated Press first reported on Tuesday that “cyber thieves” managed to fraudulently access more than 1,000 StubHub accounts, and buy themselves tickets in the legitimate accountholders' names. As hacks go, a mere thousand compromised accounts in a company as large as StubHub sounds like pretty small potatoes. Why was the damage so limited? According to StubHub spokesman Glenn Lehrman, the thieves never broke into the StubHub customer database. Instead, they got customers' login and password information from other sources, either hacking into different retail databases or even putting keylogging software or other forms of malware on user's computer. The thieves presumably know how commonplace is it for people to use the same passwords (and sometimes even login names) across multiple accounts, so if thieves have, for example, the password you use for your email, bank account, favorite web-discussion forum or any other password-protected thing you do, they'll also try plugging that password into your other accounts on the off-chance it will work. Where over 1,000 StubHub customers are concerned, it did. Pretty much any collection of online security tips will remind you not to use the same password across multiple accounts, and this week's news that scammers have managed to hijack and steal points from large numbers of Starwood Preferred Guest loyalty accounts offers another example of why. Everyone is vulnerable to a data breach, but a new international survey shows millennial consumers are most likely to suffer a financial loss when their sensitive information is compromised. Ping Identity, an identity security firm, surveyed consumers in Europe and the United States about how they interact with brands and how much they trust those companies to safeguard their data. The researchers also investigated how consumers change their behavior following a breach. If you get an email from LinkedIn saying you need to reset your password, it's real. The social networking site has reported a data breach in which an undisclosed number of passwords were compromised. "Members that have accounts associated with the compromised passwords will notice that their LinkedIn account password is no longer valid," Vincente Silveira, a LinkedIn director, wrote on the company's blog. "These members will also receive an email from LinkedIn with instructions on how to reset their passwords." Silveira stresses there will not be any links contained in the email that informs you that you must reset your password. However, once you follow the initial step request password assistance, then you will receive an email from LinkedIn with a password reset link. Regardless of whether you receive an email, it would be prudent to immediately change the password on your LinkedIn account. "It is worth noting that the affected members who update their passwords and members whose passwords have not been compromised benefit from the enhanced security we just recently put in place, which includes hashing and salting of our current password databases," Silveira wrote. A ConsumerAffairs sentiment analysis of about 2.5 million comments posted to social media finds that the news knocking LinkedIn from an overall approval rating of close to 80% to a 24% negative rating. Silveira did not say how the data breach occurred, only that an investigation was underway. Chester Wisniewski, Senior Security Advisor at Sophos Canada, wrote in his blog that it is imperative that LinkedIn also determine whether email addresses, often a user name, were also compromised. LinkedIn has more than 161 million members who use the site to expand their business and professional contacts. About 6.5 million passwords have been posted online and the company says some of them do appear to be LinkedIn passwords. Others appear to be passwords for eHarmoney accounts, security experts say. EHarmoney said a "small fraction" of its member passwords had been compromised and that it is investigating. Meanwhile, it said affected passwords have been reset. Was Uber security breached, or only those individual accounts? American Uber users beware: Customers from all over the country are complaining that their Uber accounts were charged for trips they never took – in many instances, charged for trips they couldn't possibly have taken – which strongly suggests that those Uber accounts were hacked. The massive ransomware attack that struck the world late last week was a stark reminder that we live in a world where criminals are more powerful and have extended their reach. Here's another reminder if you needed one: credit and debit card fraud alerts are up 15% from 2015.